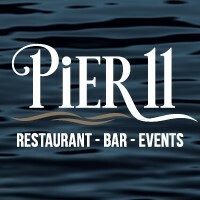 Pier 11 is spectacularly located at the Noosa Marina perched overlooking the Noosa River. The stylish and warm décor of the main restaurant offers diners a picturesque waterfront setting for all dining occasions. Quality dining without the fine...why pay more??? Pier 11 offers a range of unique dishes with something for everyone.